When you buy a mixed wine case from Corks Out you know you’re getting the best deal of 6 bottle and 12 bottle case offers. Our passionate wine buying team spend their time hand picking each wine crafted for all tastes. We have devised several different red wine and white wine case offers that offer you a range of different country options and grape varieties including the popular wines such as Sauvignon Blanc to your more unique indigenous grape variety. Here at Corks Out we’re dedicated to getting you the best deal, that’s why all of our pre mixed wine cases are discounted and most of them you can have delivered completely free of charge. Why spend your quality time picking up a case of wine when you can have one delivered quickly and efficiently- our courier even offer a 1 hour time slot service meaning you’ll never miss a delivery again. Red wine case deals- Our classic and expert mixed red wine case deals give you two price points to choose from? If you’re on a budget but still want a quality wine then the classic case is perfect for you- 12 or 6 wines that are easy drinking and delicious all year round. If you’re looking for a higher quality wine case then the expert case is the one for you, as it says in the name this case is picked by our wine experts giving a higher standard of wines including some well-known names such as Rioja Reserva you know and love. White wine case deals- Like the red case, our white wine case deals are a great pick for any wine lover. 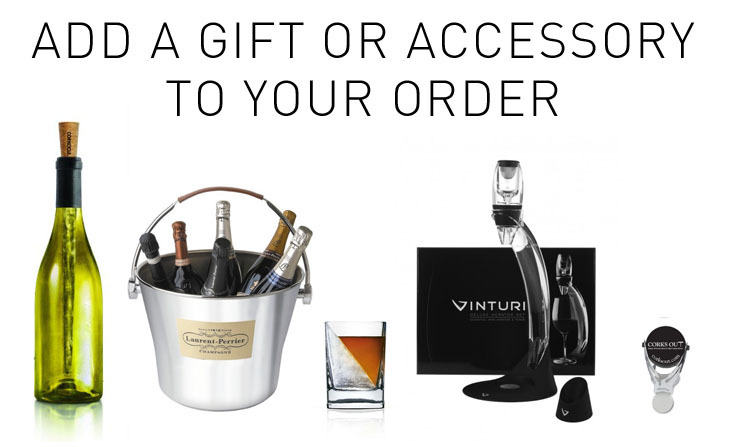 With wines such as Cloudy Bay Sauvignon Blanc and other well-known names if you’re giving these as a gift then they will be sure to impress. 6 bottle and 12 bottle case offers- We like to give you total control of what you want which is why we are offering you so many different options such as smaller 6 bottle wine deals or if you’re looking at getting a better discount then the 12 bottle cases are perfect for you. Unique & fine wine case offers- If you’re looking for something out of the ordinary then we have the perfect cases for you. Our Connoisseur case is the crème de la crème of the wine world, only the best wines have been chosen for this case. You can also buy a case deal chosen by the country which the wines originate from or the season- there’s something for everyone. If you’re buying a case of wine for a gift then we are the place to be. Each bottle selected in our case are highly rated by our customers and there will be some iconic wines which the recipient will be sure to know and love. Better yet you can have it delivered direct to them with a Corks Out gift note all free of charge. If you are looking for a good selection for a celebration or special event, our wine case deals are a popular option. Corks Out Classic Cases are highly recommended for parties as they contain well balanced wines guaranteed to go down a real treat with guests. As well as red and white, we offer a mixed case selection so that you can rest safe in the knowledge that all your partygoers are catered for. Our fizz and Champagne case deals are also a good choice for parties and weddings. This great value selection of sparkling wines and Champagnes including well known names and quality Italian Prosecco allows you to toast to a special occasion with family and friends, or stock up for when an impromptu celebration arises. Corks Out also has some expert wine case deals that are the perfect treat for wine connoisseurs. These carefully thought out cases contain a high quality assortment of iconic bottles, well-known brands and distinctively flavoured wines at great value. Brands such as Rioja, Barolo, Chateau Musar, New Zealand Sauvignon Blanc, Chablis make up many of our case deals. Buying yourself or a loved one an expert tasting case is a great opportunity to sample a wonderfully diverse selection of quality wines. We make sure that every collection contains bottles from different grapes, regions and wine producers, so that you can excite your taste buds with a variety of flavours and have the chance to explore something you've never tried before. Our wine case deals are available to buy online with free standrd delivery available on some orders. We also have some great wine gifts well worth having a look at if you're thinking of buying a present for a wine lover.